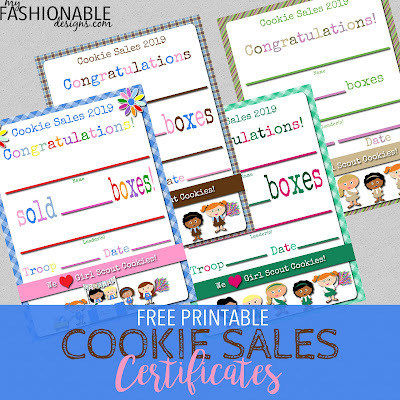 Here are FREE Printable Cookie Sales certificates! For additional designs, please check out my Etsy shop for new 2019 cookie sales cards & certificates! Do you have a Safety award certificate for daisies? So creative. Have you creative any for the 2015 cookie sale? do you have the ones for cadettes and seniors yet? Hi, Are you planning on/Would you please update these for the 2016 season? Thank you so much! Are you planning on updating these for 2017? Thank you for cute certificates. I have a multi-level troop, and I was able to give one to each of my girls who sold cookies. You did a big print order for my troop last year. We are getting ready for bridging on June 11th. I loved everything! Ready for this year?!?! Do you have these for 2019? Yes! The 2019 designs are ready: https://www.myfashionabledesigns.com/2014/04/girl-scouts-free-printable-cookie.html. 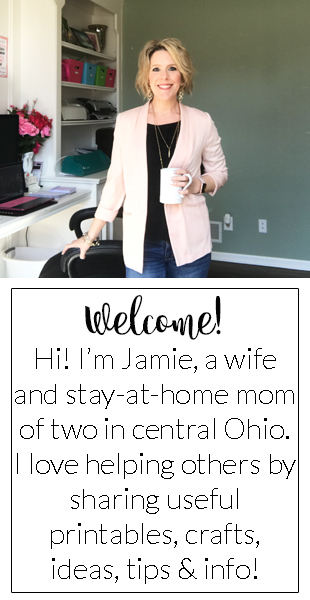 Thanks so much for visiting my blog!